Although pomegranates are difficult to deseed (check out the article below to find out how to deseed them quickly and efficiently), the effort is definitely worth the reward. Pomegranates are tangy, tart, sweet, and super juicy! Pomegranates are tangy, tart, sweet, and super juicy! 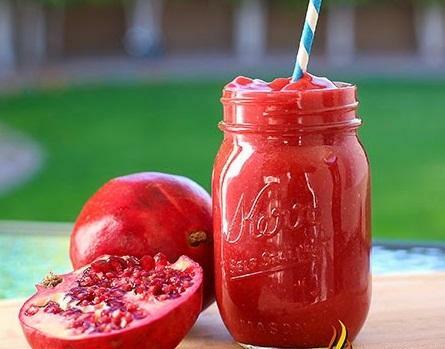 Pomegranates are a natural superfood! They are high in fiber, antioxidants, folic acid, fiber, and potassium. Pomegranates are in season during fall and early winter. Look for pomegranates that are round, plump, and heavy for their size. Avoid ones that have bruising, cuts, or discoloration on the rind. 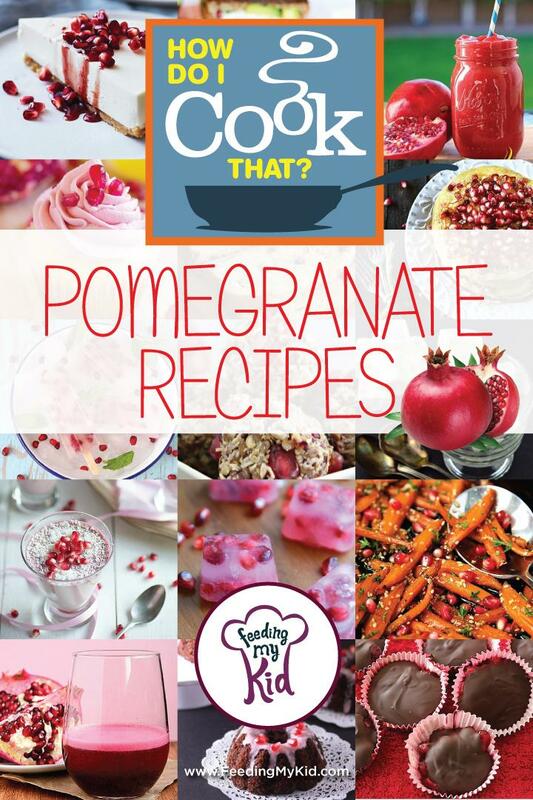 Check out our collection of sweet and savory pomegranate recipes below! 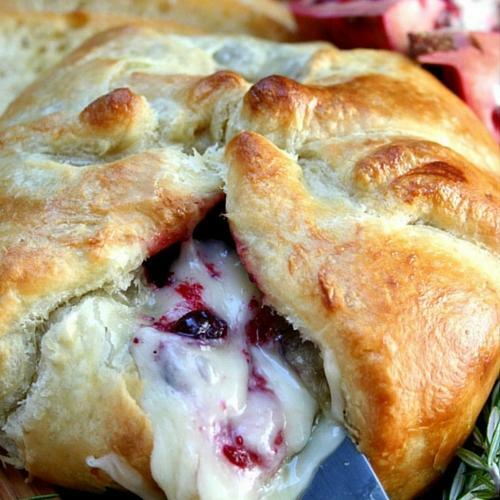 Pomegranate stars in this recipe as a wonderful twist on traditional baked brie. 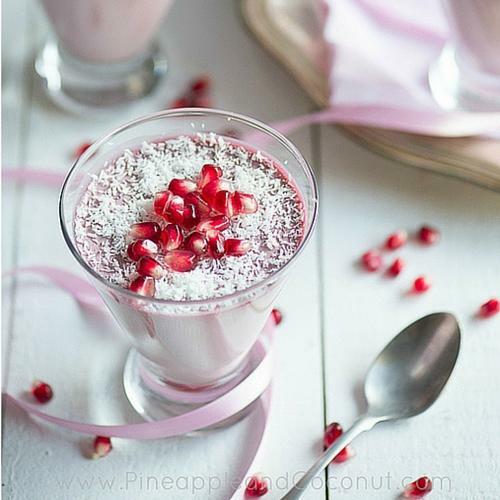 You kids are sure to love this pomegranate recipe! 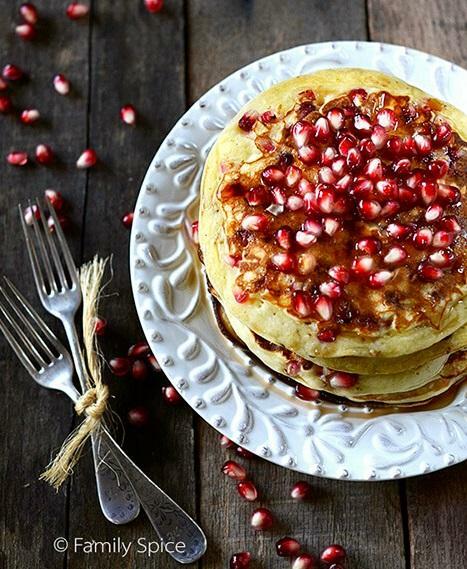 Introduce your kids to the nutritious pomegranate by serving these beautiful pancakes that are a spin on traditional blueberry pancakes. This quick and easy breakfast is sure to delight your entire family! 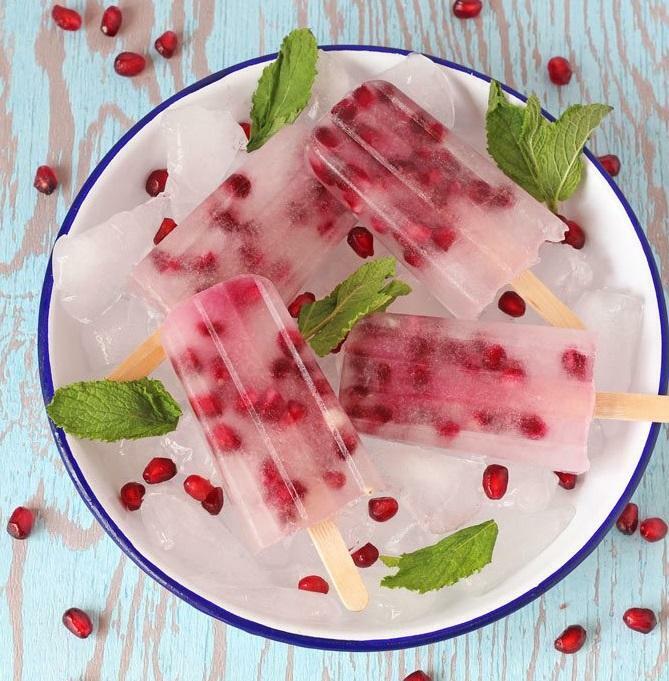 Instead of giving your children traditional popsicles, which are high in sugar and contain high fructose corn syrup, make them these easy pomegranate popsicles that require only two ingredients. Not only are they refreshing but also healthy! These energy balls are super toddler-friendly as they are the perfect size for little hands to hold. 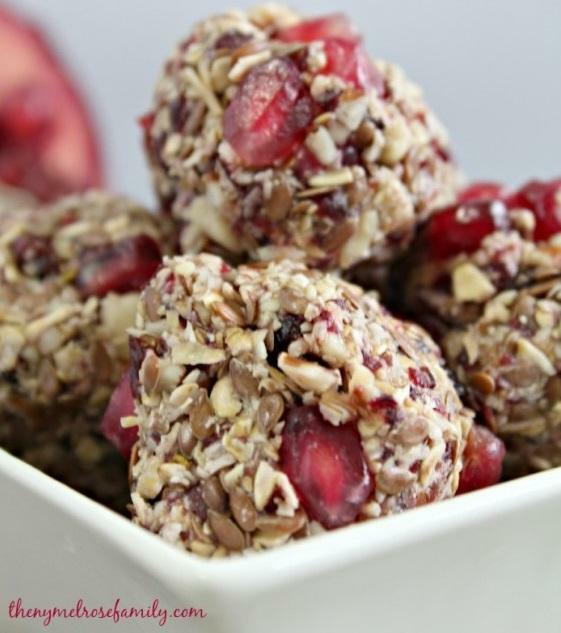 Plus, they’re made with fresh pomegranate and flax seeds, making this pomegranate recipe a great snack! 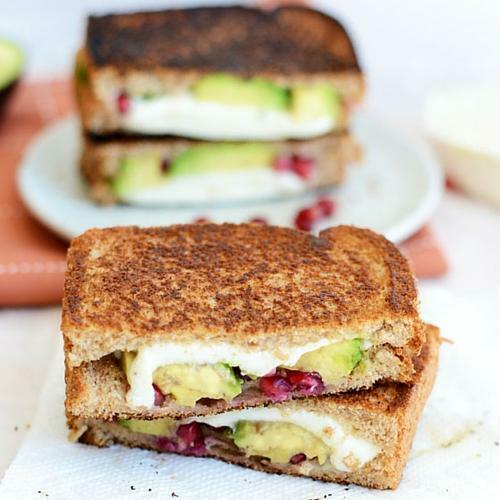 This grilled cheese packed with pomegranate and avocado is everything a grilled cheese is supposed to be: gooey on the inside, crunchy on the outside, buttery, and satisfying. The addition of fruit and veggies makes this a wonderful recipe to whip up when your kids ask for grilled cheese! 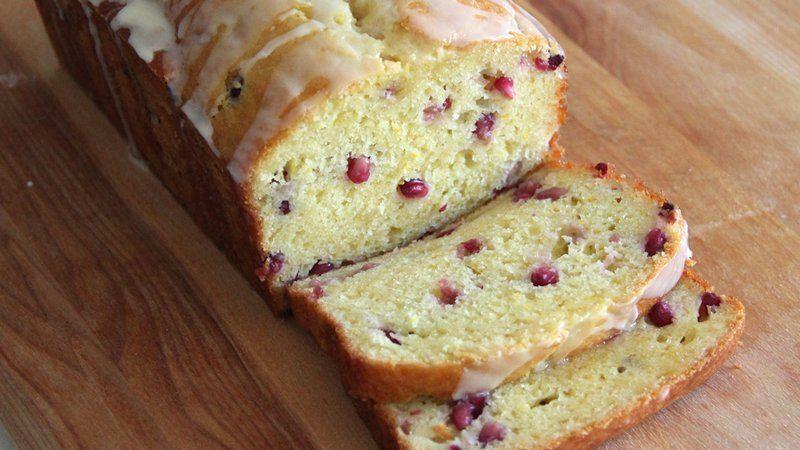 This quick bread tastes like fall, especially because pomegranate is an ingredient. You can even use whole wheat flour or make kid-friendly muffins instead of bread. Yum! 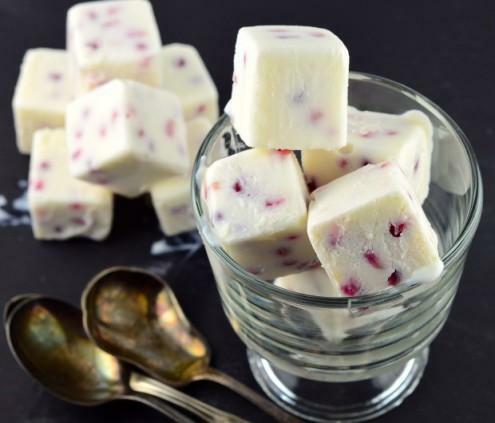 These pomegranate frozen yogurt cubes make a tasty after school snack or a light dessert that’s both delicious and nutritious! Plus, with only three ingredients, this pomegranate recipe is super simple to make! 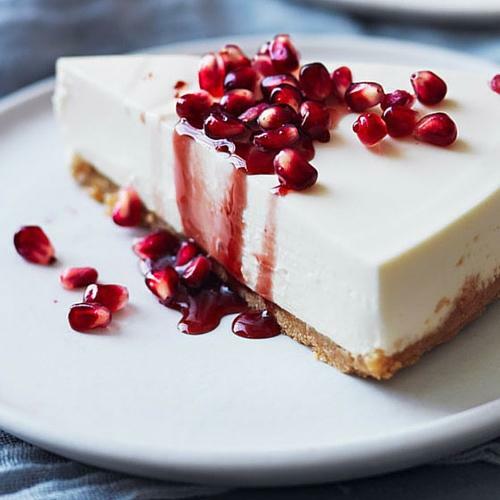 In this light mousse, pomegranate lends a beautiful tart flavor that is nicely balanced with the creaminess from the coconut and the natural sweetness of the honey, making this a must-try pomegranate dessert! 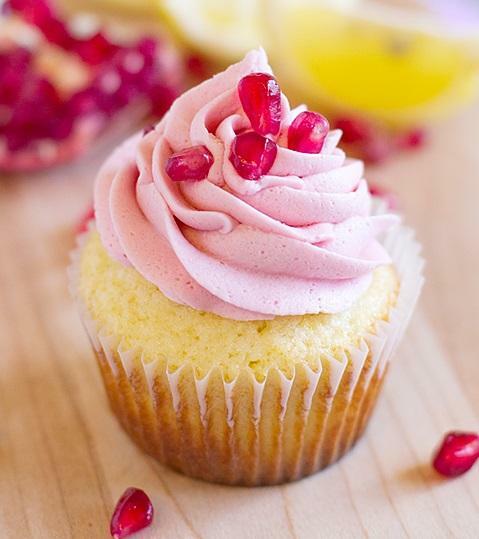 The pomegranate frosting on these cupcakes makes them light and refreshing. The secret to making the frosting taste exactly like pomegranate is pomegranate juice! This smoothie combines the tart flavor of pomegranate with strawberries and fresh lemon juice, which makes this pomegranate recipe not only easy but absolutely healthy! 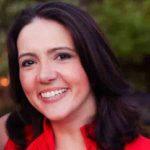 Serve at breakfast or snack time to replace store-bought fruit juices. This pomegranate recipe looks really impressive and complicated, but it’s actually super easy to make and only takes 30 minutes! Plus, it’s a one-pot meal (aka less dishes to wash). AND your kids are guaranteed to love this juicy chicken that secretly has fruit in it! 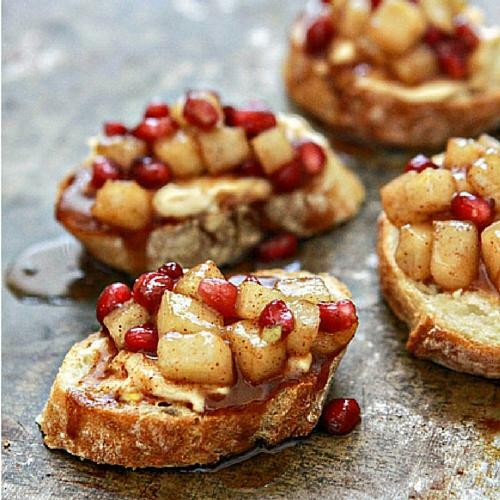 These crostinis feature both pomegranate and pear with a hint of cinnamon for the most amazing fall or winter snack or breakfast dish! They’re also really easy to make! 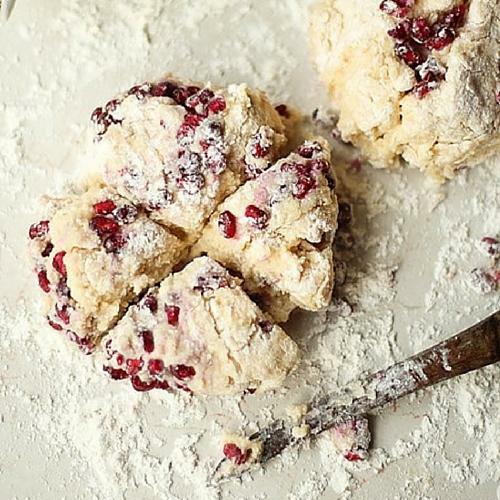 These scones featuring pomegranate are finger-licking good and super easy to make! Let your kids help in the kitchen with this recipe by letting them make these themselves (with parental supervision, of course). This pomegranate recipe is another great way to introduce your kids to pomegranate. 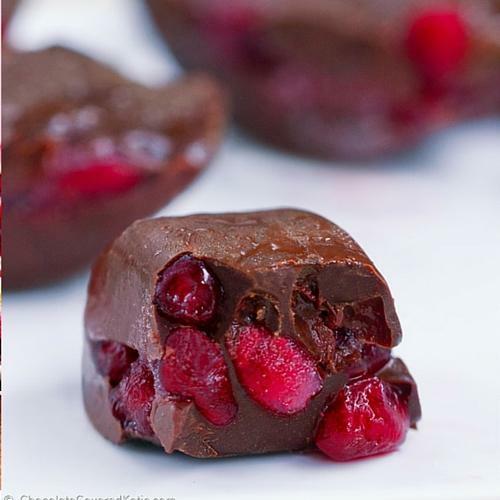 Just whip up these bad boys, pop them in their water, and let them get a taste of pomegranate! Make this light pomegranate salad as a quick lunch or side dish! It’s tart and got a little bit of bite. 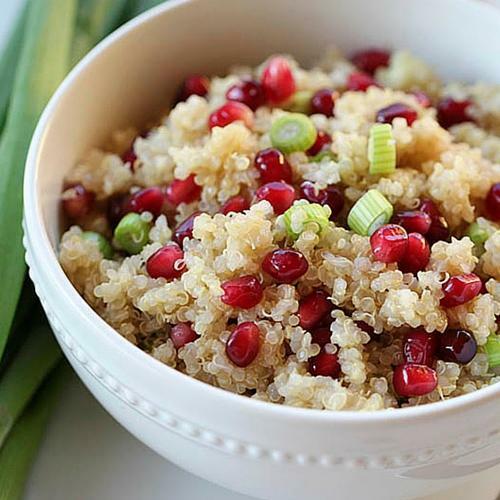 Plus, quinoa is a really healthy grain that’s a great alternative to rice. Here’s a fun way to get pomegranate on the table at dinner time! 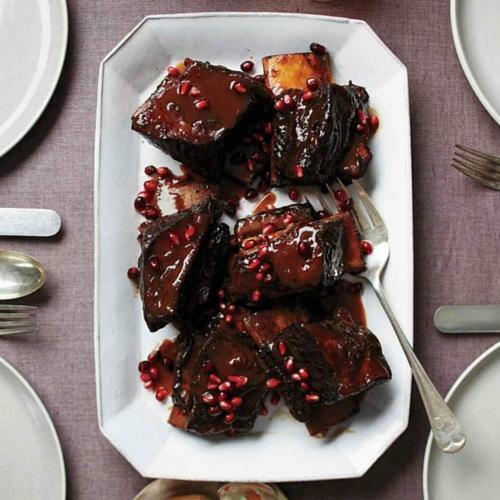 Pomegranate juice is used to braise short ribs, making them more flavorful and really juicy. Then, pomegranate seeds are put on top for extra tang. You can even braise these ribs a day ahead and simply reheat when you need them. 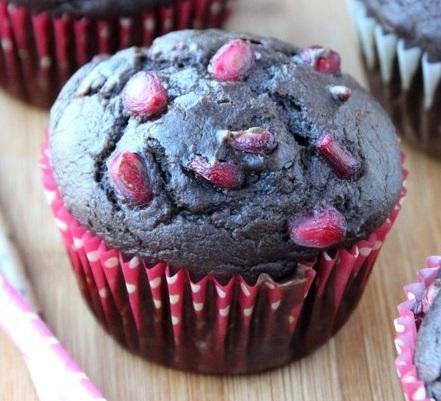 These beautiful muffins have smooth chocolate and juicy pomegranate in each bite. 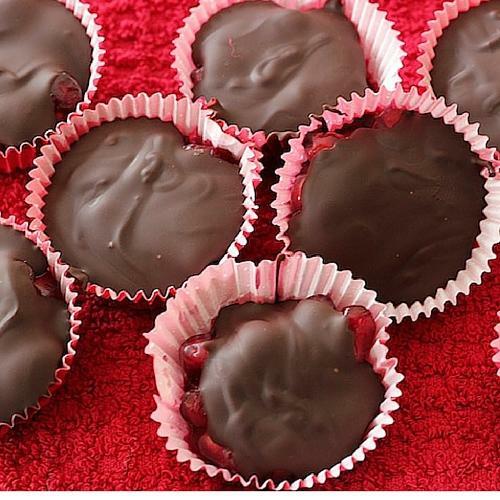 They make a great dessert or snack, so offer them when the kids ask for something sweet! Plus, there’s hidden veggies in these muffins: the recipe calls for either pumpkin or sweet potato puree. 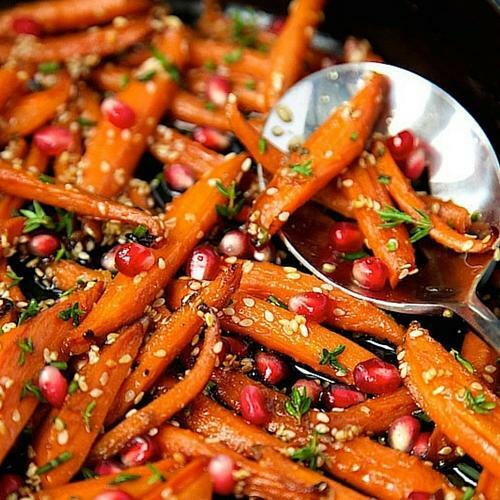 Plain old, boring carrots are transformed into a sweet and scrumptious side dish thanks to caramelization. 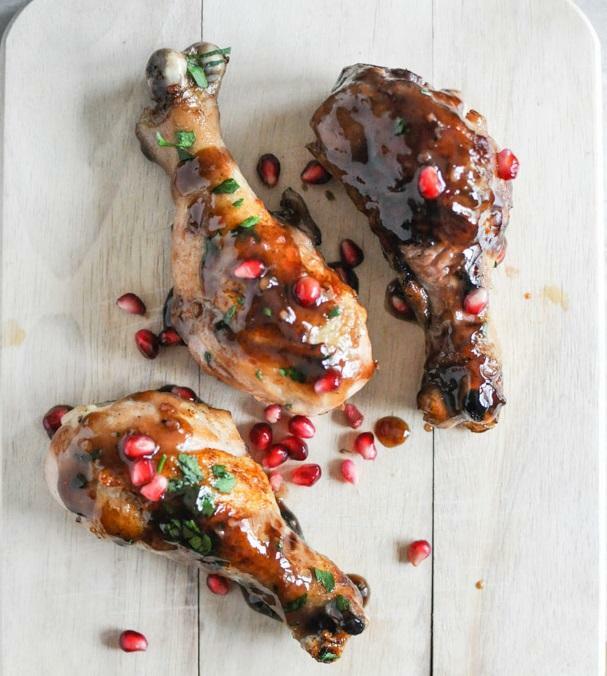 Pomegranate seeds make this easy dish look gorgeous and add a nice tanginess to the sweetness. Yummy! 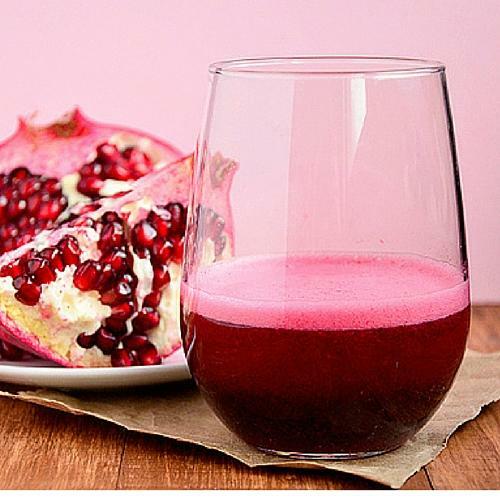 Pomegranate juice is one of the best ways to take advantage of all the antioxidants that pomegranates contain. Try making your own instead of buying it at the grocery store. Kids are sure to love this refreshing juice with a sprinkle of sugar on top! This kid-friendly recipe is really easy to make using an ice cube tray! Let your kids help make these amazing pomegranate candies that don’t contain corn syrup and refined sugars like store-bought candy. 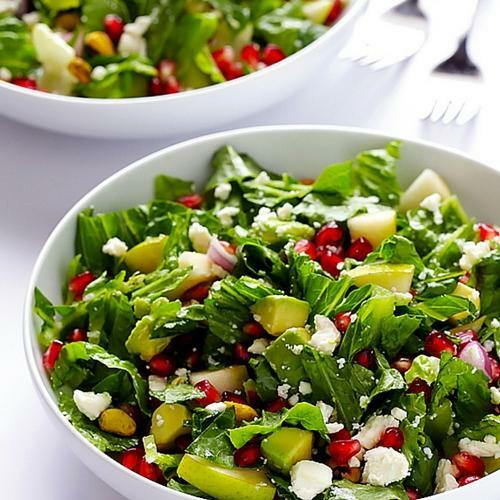 This festive green and red salad is packed with healthy veggies and fruits, including antioxidant-rich pomegranate seeds. Because it takes only minutes to make, this is the perfect side dish to make on a weeknight! These pomegranate cookies are wonderful for fall. 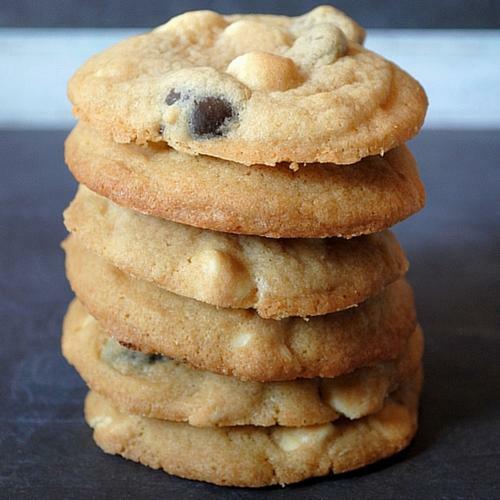 I can just smell the cookies as they’re coming out of the oven, piping hot and ooey-gooey…. You definitely have to make these for your kids! Eating raw is one of the best ways to get all those good-for-you antioxidants and vitamins into your system without unnecessary and man-made additives present in a lot of store-bought food. 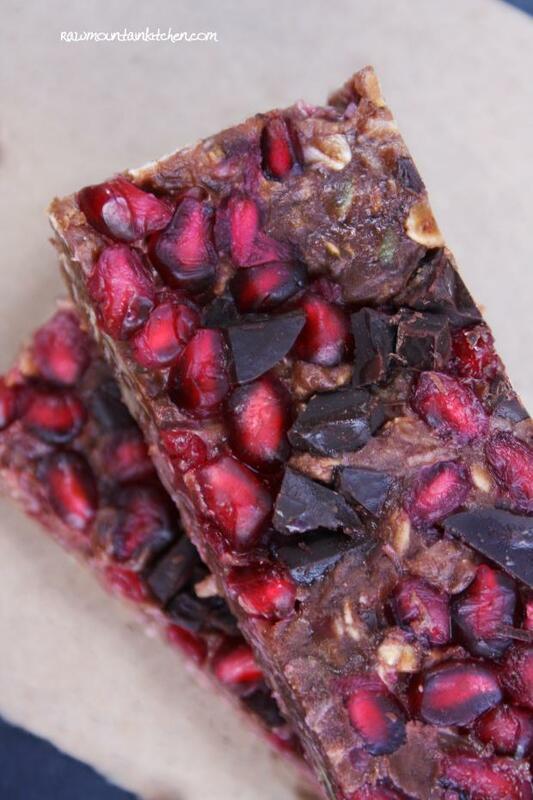 Try out these raw pomegranate and chocolate bars that will naturally boost energy and hopefully open your mind to eating raw! Have leftover pomegranate juice? 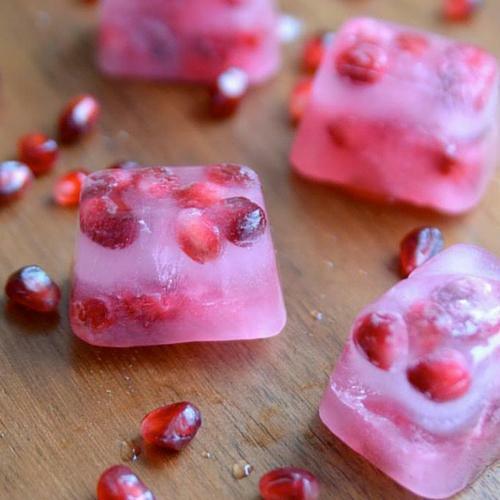 Make this deliciously easy and simple pomegranate jelly! 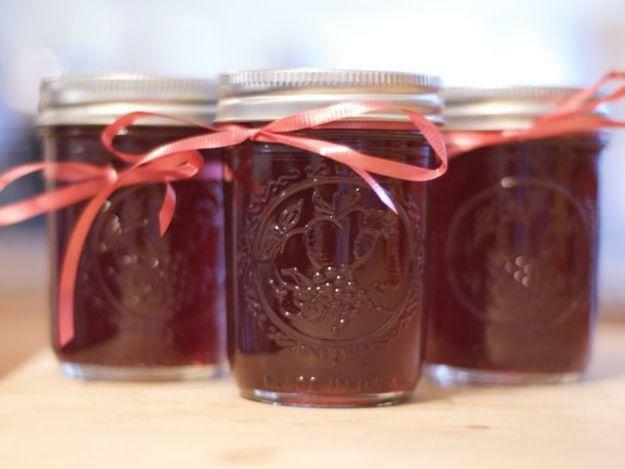 Serve at breakfast time and use instead of store-bought jams and jellies. You can also get creative and try different flavor combinations like pomegranate-raspberry and pomegranate-lemon! 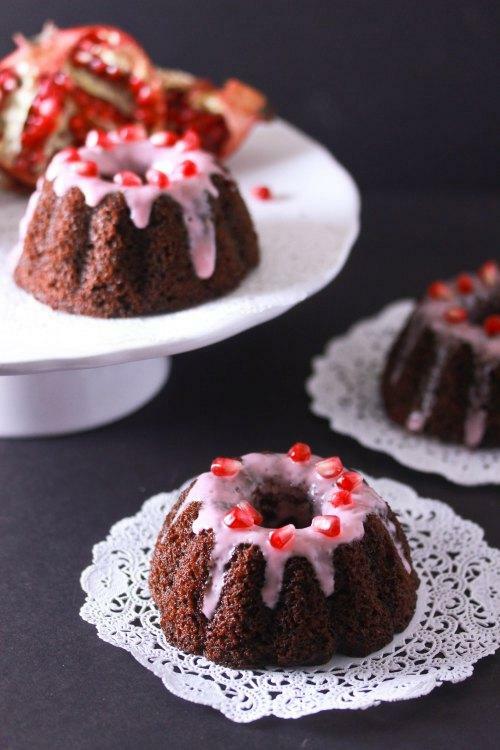 Pomegranate juice lends a nice fruity undertone to the chocolate cake, and the pomegranate icing beautifully balances out the sweetness from the chocolate cake. Don’t have any mini Bundt cake pans? No problem! Simply make this is whatever pan you have and adjust the baking time. This pomegranate and Greek yogurt cheesecakes makes a wonderfully light yet satisfying dessert for any holiday meal. It’s a great alternative to traditional cheesecake or holiday desserts because of the Greek yogurt used in the filling! These delectable little candies are surprisingly juicy, much like chocolate covered cherries. 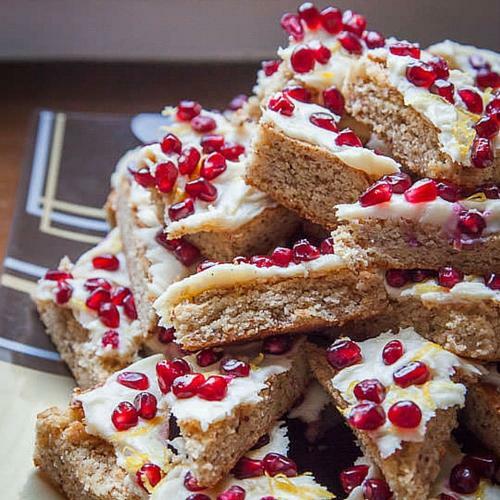 These are better because the pomegranate seeds are fresh and because you made them yourself! This spin on lemon cookie bars adds cream cheese frosting and pomegranate seeds on top for an irresistible flavor combination. Your entire family is bound to love these cute little treats! Having trouble getting those seeds out your pomegranate? Check out the videos below to learn how! Sometimes introducing kids to new and exotic fruits like pomegranate can be difficult. 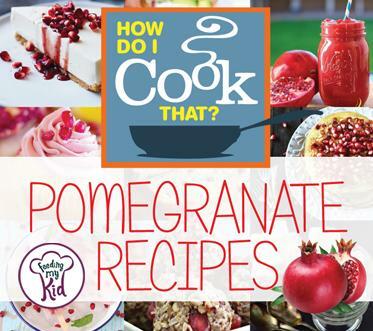 Check out these pomegranate recipes to expand your child's palate!